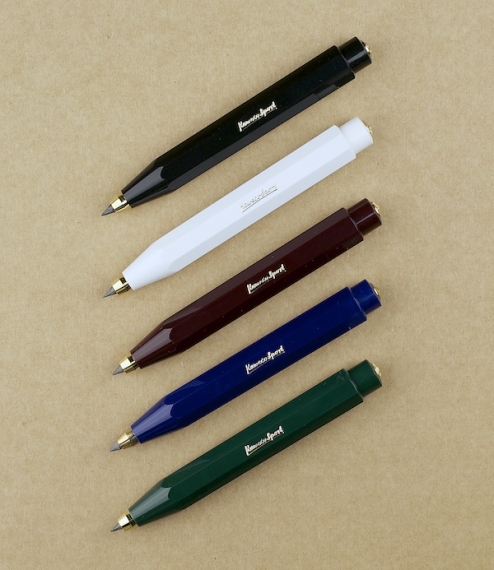 Compact and adaptable clutch pencils derived from the original Kaweco Sport travel fountain pen first produced by Heidelberger Federhalterfabrik in 1912. 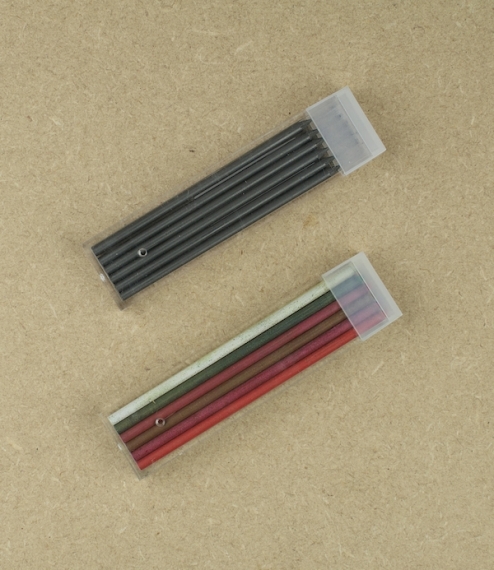 Small enough to fit into a pocket, handbag, or purse, these nonetheless sit comfortably in the hand, and with sets of 6 graphite or 12 coloured leads available, might be considered the ideal foundation for a surprisingly complete campaign art set. Available in black, blue, green, red, or white.